I have been missing this soooo much! Blogging!! Thanks for the various comments I have received lately. If it wasn’t for you guys, I think I still would be wondering about what my next post should be about. Keep any question, comment or advice coming!! I haven’t written for a long while, I have been away visiting my family back home for over a month, I was with my kids most of the time (24/7), which didn’t allow me to concentrate on basically anything. It is already two weeks since I am back in Denmark, we got into our routines pretty fast, and we have been so busy that this is our first weekend at home. One of my readers, came up with few questions about painting tables. What is best?? What colour? What colour wax? Should we apply varnish?? and so on. 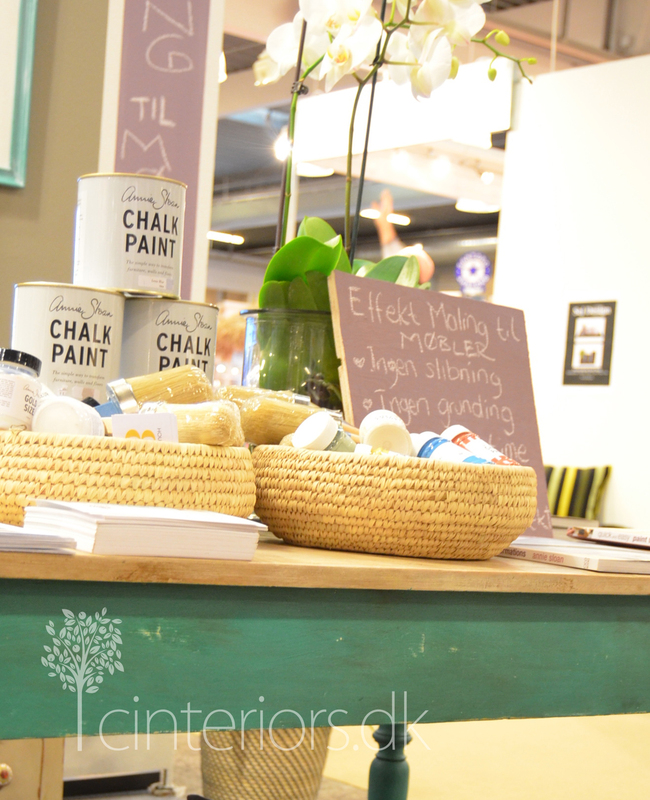 So this post it about what my experience have been when it comes to CHALK PAINT™ and turning tables. So this is how you start, ideally take a wooden table than hasn’t been treated with varnish, the more natural the better. 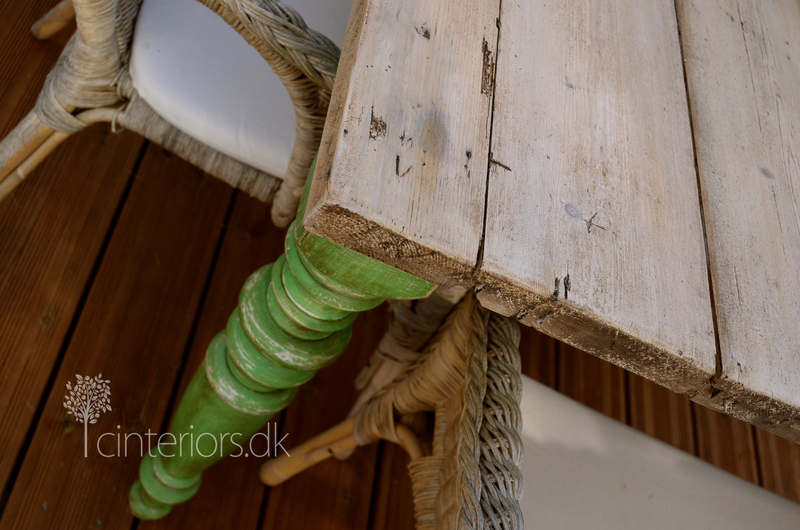 To create the two colour patina of the legs, I started by painting at first coat with CHALK PAINT™ Old White, only on those areas where I was going to distress the piece. 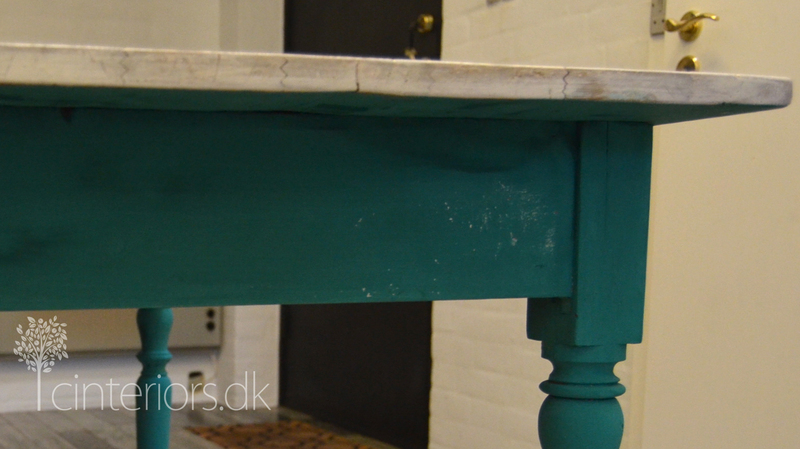 Tine, chose CHALK PAINT™ Antibes Green for the legs, it is a beautiful choice, I chose Persian Green for my table, just to try something different. When the paint is dry I then distressed the legs and the cross bars. Before moving into waxing, I finished the table top by using the lime wash technique. This you can do using different methods, I like painting roughly with Old White and removing the excess with a wet cloth. Once the table is completely dry, I proceeded to apply a coat of Annie Sloan Clear Wax, when the clear wax have been absorbed I continue to apply Annie Sloan Dark Wax, preferably with a brush to make sure it reaches the recesses of the wood. Clean the excess of dark wax with a cloth. TIP: apply the dark wax and remove the excess on small areas at the time. Apply a final coat of clear wax and wipe it off for a lighter look. So this is my table already being used. I am so happy with it. So this is the look Tine achieved using both clear and dark wax. 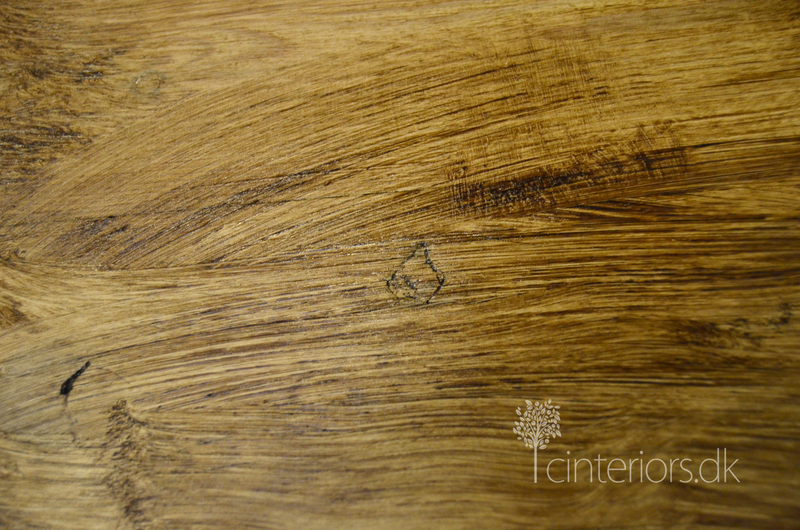 It is great that the wood has a lot of recesses and imperfections, they show up beautifully after using the wax. 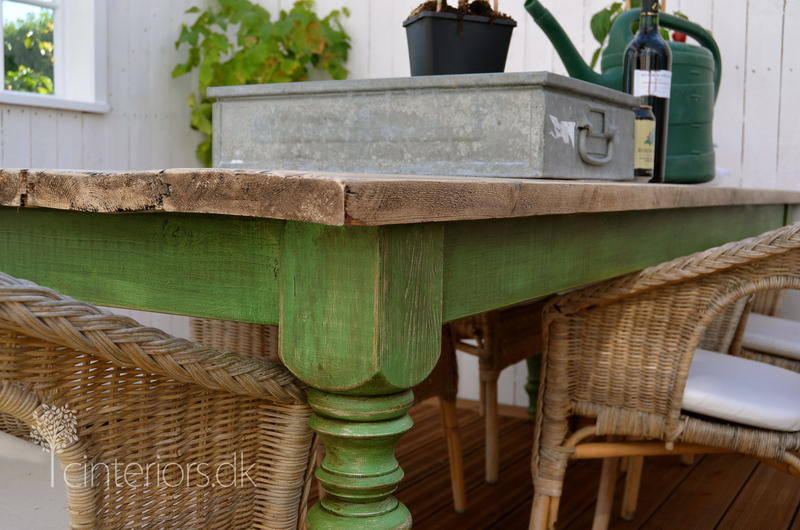 A table like the one above will work perfectly as a dining table, just keep en mind that the wax gradually will come off (due to daily cleaning, so you should expect to give it more wax once every year or depending on how often the table is cleaned. 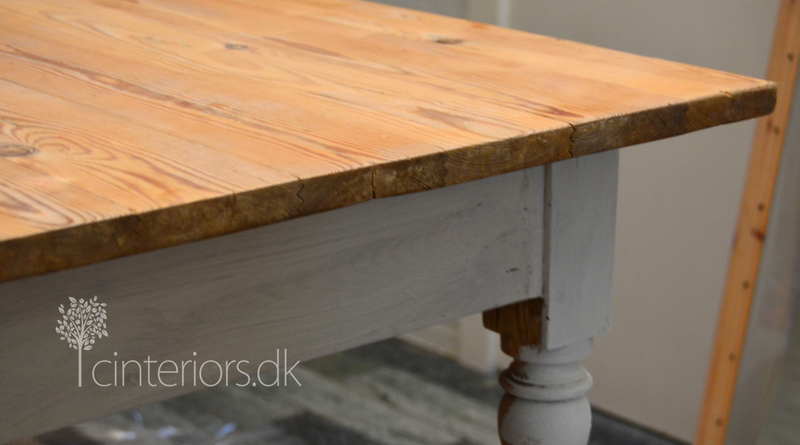 If your table is used with a lot of frequency and for different purposes, like dinning, crafts, office and so on; then an option could be using CHALK PAINT™ only on the table skirt and legs and keep the original varnish or stain on the table top. The contrast is beautiful and this is project you can finish in no time and will not have to worry about waxing again. This is my sofa table, which I painted with a mixture of Country Grey and While Linen, covered by three coats of clear wax. The table has been regular used and I clean it at least once a week. So far ,it looks just like from the first day. As this table has only clear wax, I cannot see the wax disappearing as I would be able to if I had applied dark wax. 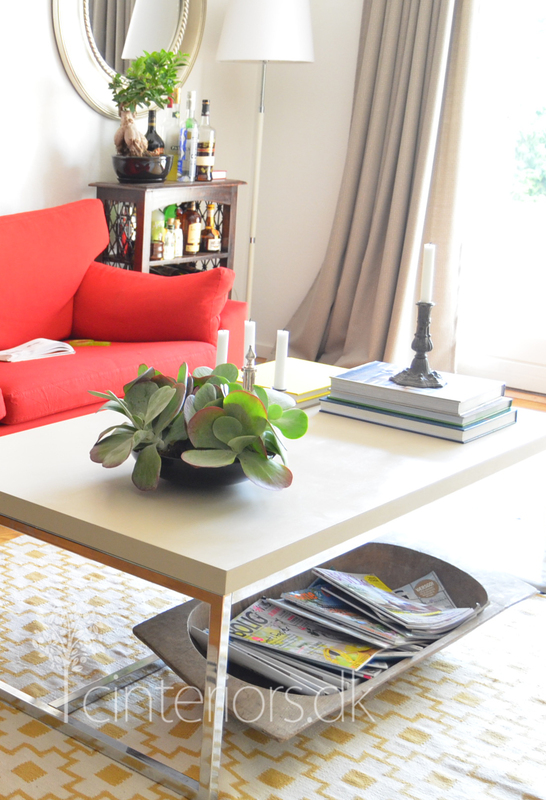 Like any furniture treated with wax or oil you should expect it to treated every now and them. 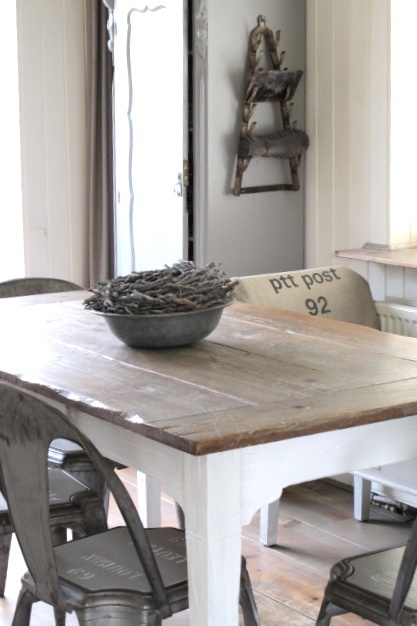 How to clean tables or any furniture painted with CHALK PAINT™ decorative paint by Annie Sloan? – use at wet kitchen sponge, the one that has yellow soft side and a dark green rough size. I normally use the rough size, just gently. – clean the table top after use, before food and dirt stick on to it. – Do not scrub hard, if you do so, the wax might come off. You can even remove pen marks, but you should do it with care. 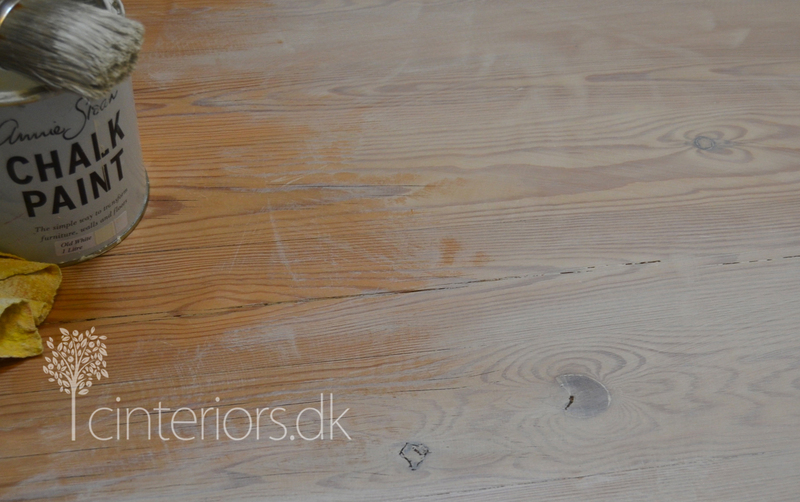 – Treat your furniture with wax every now and them, or when you consider it is necessary. Important: Allow the paint to cure, this normally takes a couple of weeks. Feel free to share you own experiences down in comments. Thank you very much! This is a lot of very important information. 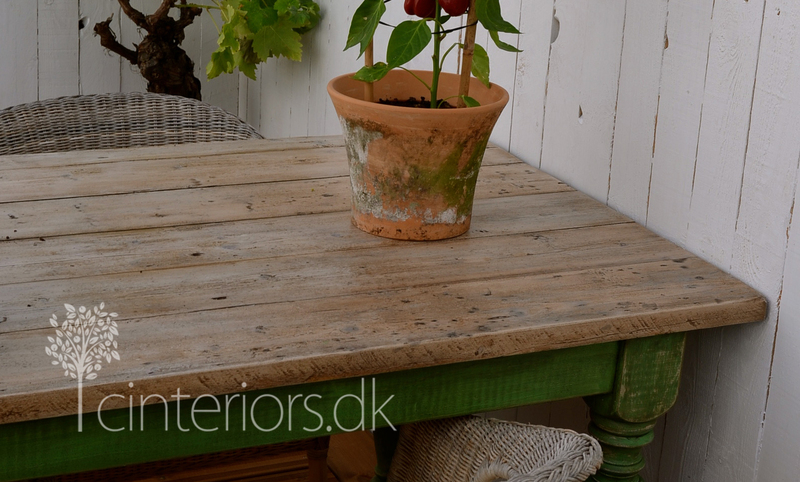 I love all the possibilities that this Chalk paint offers. And it’s hard to stop thinking of all the nice pieces that I can do later on. Another wonderful post filled with great and helpful information!! I am so very excited about meeting you in New Orleans!!! !